Excitement abounds these few days among Cambodians, particularly expatriates, who hope to see Prime Minister Hun Sen brought to justice before the International Criminal Court (ICC) in The Hague. On October 7, a long-awaited criminal complaint was filed at the ICC’s Office of the Prosecutoron behalf of Cambodian victims by international lawyer Richard J. Rogers of the London-based law firm Global Diligence LLP, charging Cambodia’s “Ruling Elite” with crimes against humanity. The filing did make headlines. For some Cambodians, Premier Hun Sen is a step closer to being on trial. After all, individuals indicted (formally accused) in the ICC have included Sudanese President Omar al-Basir, Kenyan President Uhuru Kenyatta, Libyan ruler Muammar Gaddafi, Ivorian President Laurent Gbagbo. The Cambodian leader would be next, some Cambodians dream. The ICC was established by the Rome Statute, adopted in July 1998 and entered into force in July 2002. Cambodia, which ratified the Rome Statute (or ICC Statute) in March 2002, gives the ICC jurisdiction to prosecute individuals for international crimes of genocide, crimes against humanity, and war crimes committed on her territory subsequent to July 2002. 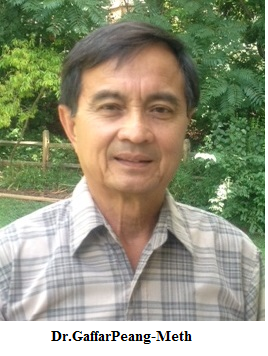 Richard Rogers, who hastwenty years of experience in international humanitarian law, human rights, and legal system development in post-conflict states, was Principal Defender of the United Nations’ Khmer Rouge Tribunal (Extraordinary Chambers in the Courts of Cambodia – ECCC), among other distinguished positions held. “There is a reasonable basis to believe that members of the Ruling Elite have committed, aided and abetted, ordered and/or incited the crimes of forcible transfer, murder, illegal imprisonment, other inhumane acts, and persecution, since Cambodia signed the Rome Statute,” Rogers posited. The filing allegesthe Ruling Elite’s primary source of self-enrichment has been land grabbing on a massive scale: Some 770,000 people, six per cent of Cambodia’s population, have been evicted since 2000 – in Phnom Penh alone, 10 per cent of the capital city’s population, or more than 145,000 people have been forcibly displaced. In the first three months of 2014, some 20,000 people became new victims of land grabbing,and at least 4,000,000 hectares (or 10 million acres) of land have been confiscated, 22 per cent of Cambodia’s land area. The complaint alleges the Ruling Elite have relied on the “(Shadow) State apparatus to maintain power at all costs” – the State’s “legal and security systems” used to quell not just Cambodians who challenge the land grabbing, but “civil society leaders, monks, journalists, lawyers, environmental activists, trade unionists, civilian protesters, and opposition politicians” who are seen as threats to the Ruling Elite’s power. The filingdoes not single out anyindividualto be investigated. It alleges a “well-organized and recurring pattern of perpetration” and “complicity between the RGC (Royal Government of Cambodia), State Security Forces, local authorities, private businesses, and judiciary”; that “the most prevalent crime – forcible transfer – was implemented by one or a combination of the National Police, Royal Gendarmerie, and the Royal Cambodian Armed Forces.” It recommends the ICC examine the role of specific organs directly involved in forcible transfers and that those ultimately responsible should be investigated. The ICC’s Office of the Prosecutor isled by prominent Gambian lawyer Ms. FatouBensouda, a recipient of the International Court of Justice (ICJ) International Jurists Award in 2009 and the World Peace Through Law Award in 2011. She has beenthe ICC Chief Prosecutor since June 2012. Anyone can file a complaint. It is said that Ms. Bensoula’s office’s assessment of the filing may take between three to six months before takinga decision to initiate a two-to-three year-long “preliminary investigation” that would include sending an ICC investigation team to Cambodia. Only when the ICC is satisfied with a “reasonable basis to believe” that crimes against humanity may have been committed by Cambodia’s Ruling Elitewould a formal investigation begin and a trial perhaps ensue. Rogers argued thatthe Office of the Prosecutor is obliged to examine the information provided and allegations made as it evaluates if the “admissibility criteria,” i.e., the complementarity and gravity, have been met. Note that the ICCwas created to complement existing national judicial systems. It may exercise its jurisdiction when national courts are unwilling or unable to prosecute criminals, such as in the case of Cambodia. Rogers contendsthere have been no known genuine domestic proceedings to investigate or prosecute criminals in CAMBODIA: “This relentless, omnipresent, State-sponsored criminality reaches the level of gravity contemplated by the ICC Statute” – Article 17(1)(d). Of course the progress of the complaint may prompt the regime to initiate its own proceedings to prosecute scapegoats thereby blocking an ICC investigation. The filing points out,”no exceptional circumstances” should dissuade the ICCfrom undertaking a preliminary examination of events described in the complaint. The filing requests the ICC to initiate an investigation pursuant to Article 53 of the ICC Statute, that there is “a reasonable basis to believe” a crime has been committed and the ICC has jurisdiction; that the case is admissible under ICC Statute’s Article 17; and considering the gravity of the crime and the interests of victims, no substantial reasons exist to believe an investigation would not serve the interests of justice. The London-based law firm, Global Diligence, and the Paris-basedFederation internationale des droits de l’homme (FIDH) or International Federation for Human Rights comprised of 178 human rights organizations throughout the world, posited that, the “threat of a preliminary examination” that would lead to an investigation would yield a “significant deterrent effect” on committing further such crimes in Cambodia, and “may force” the Cambodian government to “re-consider its approach to land grabbing and suppression of dissidents.” Engaging the ICC “could spur genuine national judicial proceedings” since the ICC’s jurisdiction is “complementary” and not superior to national courts. The criminal complaint against Cambodia’s “Ruling Elite” is one more powerful tool in Cambodian democrats’ fight for their people’s freedom, justice, and human rights as 20,000 new Cambodian victims of land grabbing are facing authorities today in the country. 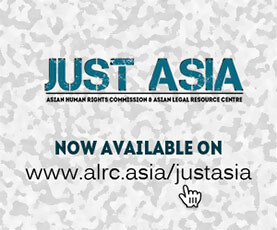 About AHRC: The Asian Human Rights Commission is a regional non-governmental organisation that monitors human rights in Asia, documents violations and advocates for justice and institutional reform to ensure the protection and promotion of these rights. The Hong Kong-based group was founded in 1984.